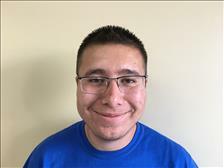 Metro Motors KC would like to welcome Andrew to the team in 2019! Andrew has over 18 years of experience with new and pre-owned vehicles. Andrew brings a ton of knowledge and professionalism to the team. He is excellent at helping customers find the vehicle to meet their needs, while providing a fun, stress free experience. Metro Motors KC is very lucky to have him on board! David brings 15 years of experience and knowledge to our team. He takes pride in his work and values our customers. David plans to provide quality vehicles to Metro Motors KC and our customers for many years to come. Jonathan is one of the first members of Metro Motors KC. 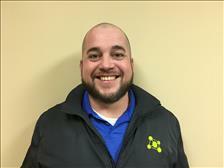 Jonathan has been with Metro Motors KC since 2017. 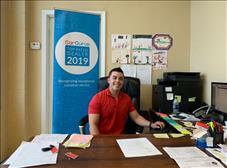 He loves vehicles and has a passion for helping customers find their new vehicle. Jonathan is fluent in both Spanish and English languages. Come see Jonathan to find the perfect vehicle.  Rossmery joined Metro Motors KC in 2018! She comes to us from Peru and is fluent in English and Spanish. Rossmery is heading up our business development and online social media. She has already made an instant impact. Cody brings 13 years of dealership experience and knowledge to Metro Motors KC. After graduating college, he started in the automotive industry and has since ran several dealerships. Cody now brings his all of his experience to Metro Motors KC to help provide the best buying experience around. Expect an easy buying experience no matter your credit situation when shopping with Metro Motors KC. Our main goal is to provide a fun buying experience that you can tell your friends and family about! Alex brings 8 years of dealership experience and knowledge to Metro Motors KC. Alex held the position of finance director at one of the largest auto groups in Kansas for nearly 5 years. 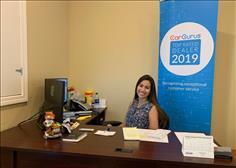 Throughout this time the stores customer satisfaction index increased considerably and more customers were able to enjoy the car of their choice due to the lender relationships created during this time. These relationships have been transferred with Alex's full time commitment to Metro Motors KC and our customers. Expect an easy buying experience no matter your credit situation when shopping with Metro Motors KC. Our main goal is to provide a fun buying experience that you can tell your friends and family about! From the moment you step on our lot until the time you drive away in your next car, your buying experience with Metro Motors KC is our number one priority. We encourage you to use the expertise and resources of our sales staff; they are here to help you find the right car at the right price. Call us today at 816-912-1836 to schedule your test drive!